As technology advances, the Jetsons-like future of self-driven cars, robot security guards, and smart devices is slowly becoming the norm. Virtual reality (VR), in particular, is no longer a distant pipe dream. While still new, a bit clunky, and expensive, it’s also emerging as a go-to tool for content marketing. As with any trend, brands are racing to leverage the technology to develop their own immersive experiences. 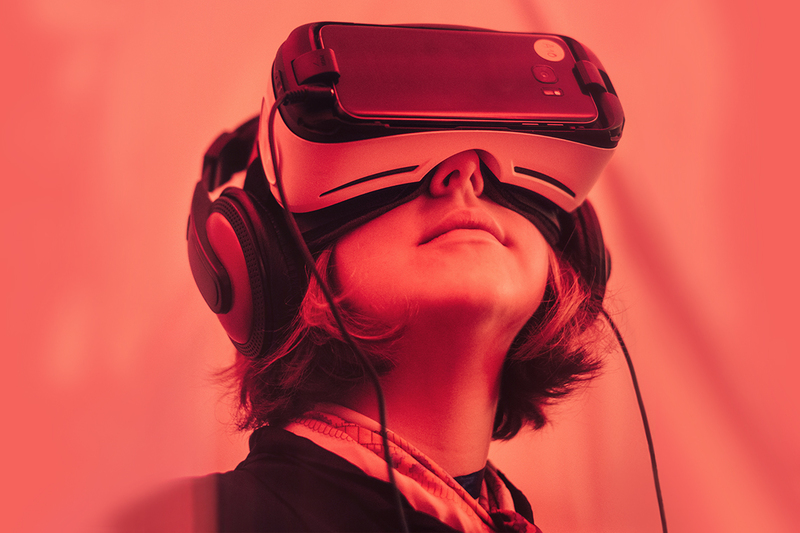 Here are five ways brands are utilizing VR within their content strategy. Enjoy the inimitable view of the Norwegian scenery, all from the comfort of your couch. In partnership with Visit Flåm, Expedia Norway created an experience that showed 360˚ views of its beautiful landscape of fjords and mountains using VR technology. The film takes you on a train ride through the Norwegian village of Flåm, offering facts about its most notable attractions and sights. By moving along an actual railway in the Norwegian village, this virtual journey successfully offers the viewer a glimpse at what they’re missing. It’s the travel industry’s go-to strategy—bolstering that feeling of FOMO within each of us. National Parks are all the rage. But until you’re able to venture to one on your own, you can experience these natural beauties through a VR headset. To bring the U.S. National Parks closer to home, Google created an interactive documentary titled the Hidden Worlds of the National Parks. With the help of a local ranger, you’re taken on a virtual tour of each, offering 360˚ expansive views of the most notable and even hidden gems. Don’t have a headset? Visit the Google Arts & Culture exhibit online. Not only does this expose more people to the beauty of the unexplored, it also creates an archival snapshot of the changing landscape of the U.S. Combined with Google’s household name and its use of this impressive technology, the experience acts as a visual plea for strengthening environmental conservation efforts, whether intentional or not. A win for the VR industry, Google Spotlight Stories’ short 360-degree film Pearl was nominated for an Oscar in the Animated Short Film category. The entire film takes place inside of a hatchback. As the story of a young father and his daughter unfolds, viewers are able to tilt their VR headsets to look around the car, even outside the sunroof, and shift their own vantage point. This immersive and interactive experience brings a fresh take on consuming stories and elevating animated films to a level previously unseen. When you enter the TOMS flagship store, you’re invited to experience a virtual giving trip. As you’re transported to a remote village in Peru, you catch a glimpse of what it’s like to give shoes to children. You hear them at play, listen in on conversations, and visit their homes. The environmental noises and personalities of the children give the audience a face to a name, or in this case, a foot to a shoe. More broadly, the VR experience offers a complete picture of the TOMS brand, business, and pushes their philanthropic mission further. What do you get when you combine visuals with other sensory elements? A 4D experience that goes far beyond typical VR. Targeting newly married couples in New York, Marriott teleported them via VR on a honeymoon through London and Maui. The immersive experience essentially sends them on their dream vacations, inserting a visual and tactile memory of these “trips” into their minds to invigorate their hunger for travel. With this level of subliminal messaging, wouldn’t you be encouraged to book a trip and stay at a Marriott? Yes. You’re thinking yes. Though the trend is growing, brands have to keep in mind that they will be targeting a niche audience. Will companies invest in VR technology to make it more consumer-friendly? Or will the risks of it failing, like 3D TV, hinder advancements in the space? Only time will tell.